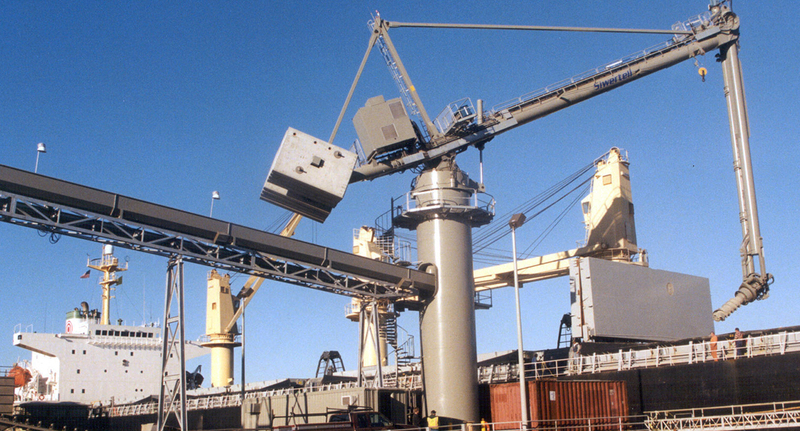 The delivery of a Siwertell continuous screw-type ship unloader and a screw conveyor system to RMC Pacific Materials is part of a solution for discharging and conveying cement to a storage and distribution facility in the port of Redwood City. The ship unloader is pedestal-mounted on a concrete deck. It is equipped with a reach extender for improved reach in the ship’s cargo hold. A clean-up unit is attached to the vertical conveyor at the end of the unloading procedure in order to increase the efficiency of the clean-up operation. 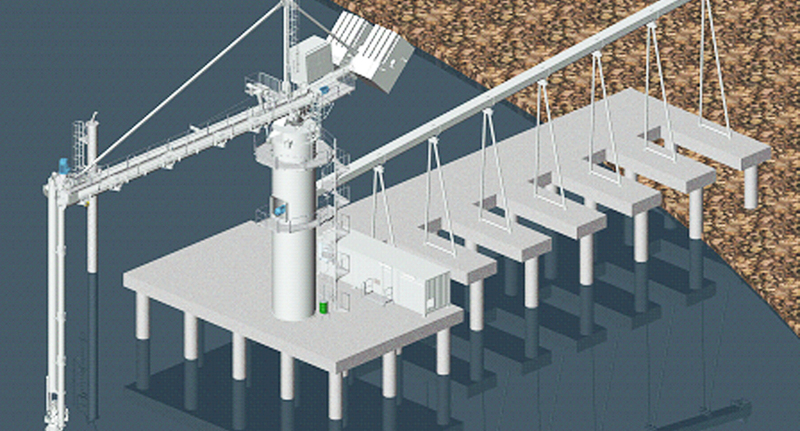 The jetty conveyors include a horizontal screw conveyor of 45m, for the transfer of unloaded cement to the shore based receiving system, and two vertical conveyors. The electrical system is installed according to US standards.